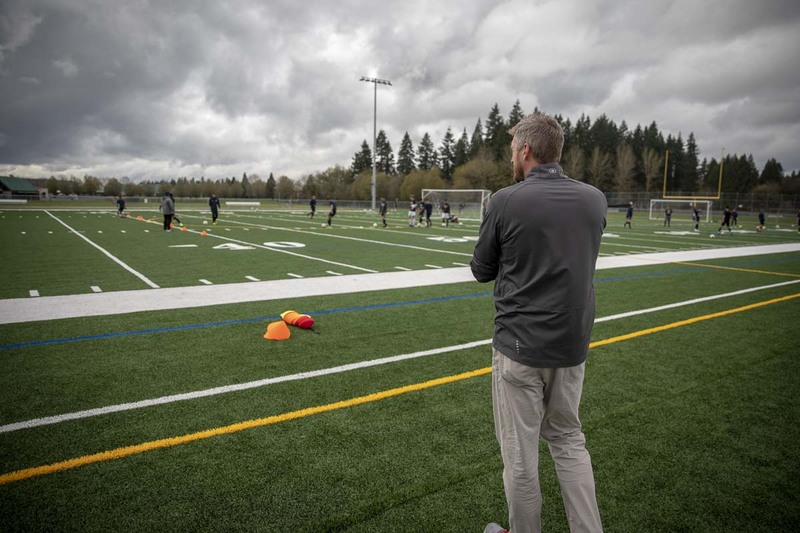 VANCOUVER — When injuries occur in the sports world of Skyview High School, the person on call must quickly diagnose the situation and remain calm enough to relax the player. For many in Clark County, Jeff Kraayeveld not only just does his job; but he exemplifies what it means to be an athletic trainer. Such is the reason for his recent nomination for The Newell Award and National Athletic Trainer of the Year. Kraayeveld, who works full-time in physical therapy at Rebound Orthopedics in Vancouver, has been contracted with Union, and now Skyview High School as their on site athletic trainer for sports since 2007. 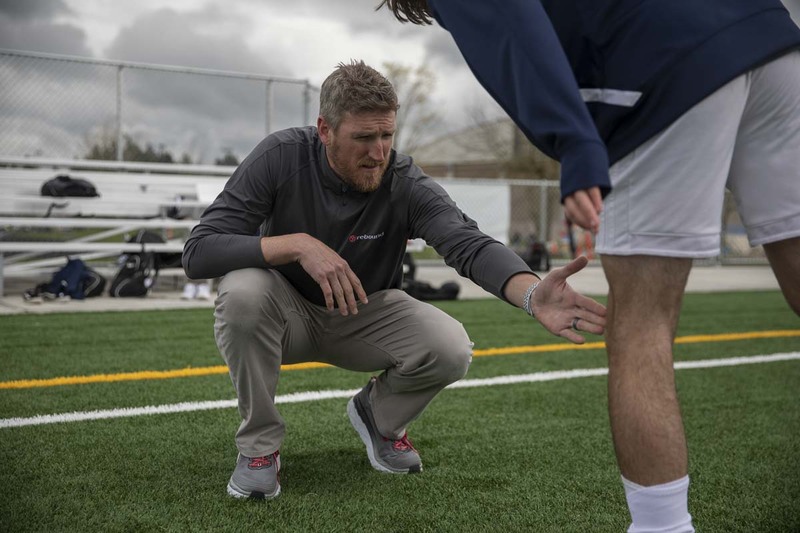 As an athletic trainer in Washington, Jeff is able to facilitate rehabilitation for post-op athletes as well as physical therapy, exercise training and, of course, on-the-field assessments. “I do it all,” he said, laughing. 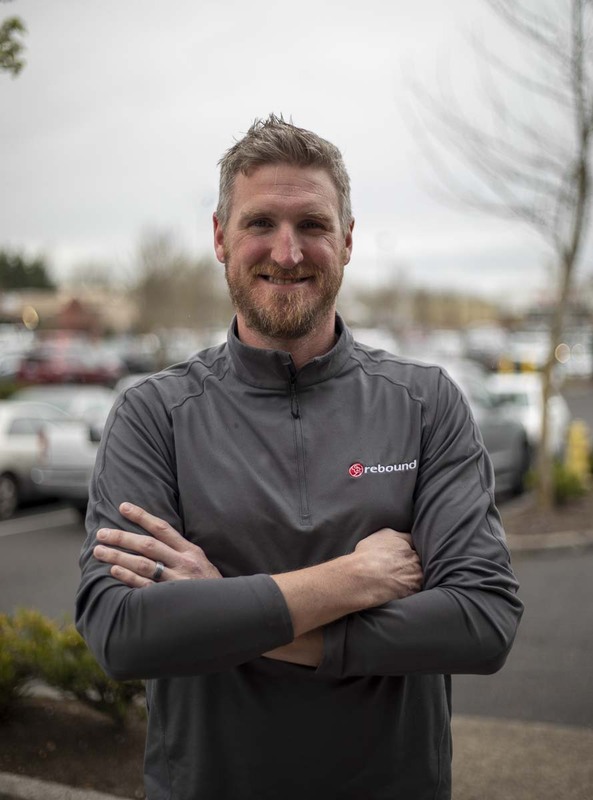 After graduating from the Washington State University (in Pullman) athletic training program, Jeff went on to do an on-field internship with the Seattle Seahawks; his dad’s old team. Dave Kraayeveld, Jeff’s father, played as a defensive end for the Seahawks for a short stent in 1978. Jeff’s sister Cathrine also went pro, playing in the WNBA for the San Antonio Silver Stars for eight years. This year, Kraayeveld’s peers at Rebound Orthopedics decided he ought to be nominated for The Newell Award, in light of his devotion to both Skyview and Rebound. The communications department at Rebound chose their own Dr. James Chesnutt to nominate one to three athletic trainers in the region for the award; two being in Oregon and Kraayeveld in Clark County. The award itself is named for William E. Newell, who is considered the “Father of Athletic Training” in the U.S. and the world. As the founding member of the National Athletic Trainers’ Association, Newell is remembered by the group through the award. Representatives from The Newell Award committee will reach out to the schools and then relay people’s testimonials and nominations back to Dr. Chesnutt, who will pick the regional finalist out of the three nominated this Friday, April 12. The Newell Award National Committee will judge finalists, and announce a winner in May of this year. The recipient receives $2,500 for his or her school, and a personal award of $10,000.